IELTS-TOEFL-OET-GRE Courses, Classes & Contact Phone Nos. Our mission is to synchronize education with human excellence, to promote self-development and creativity,in a stress free atmosphere and to emphasize on providing a high quality modern and sophisticated learning environment. Institute Profile : Keltron Tool room Research & Training Centre (KELTRAC), sponsored by Kerala State Electronics Development Corporation Ltd (KELTRON) and Department of Industries, Government of Kerala is an autonomous society registered under Travancore-Cochin Literary, Scientific and Charitable Societies Act 1955. 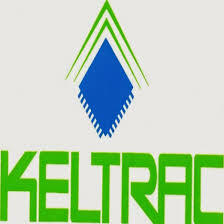 KELTRAC is to make available, a state-of-the-art facility for research, development and training in tooling, computer aided design & modeling. Designed to be a center for excellence, KELTRAC will also address education & research aspects for metal working techniques and processes. The Governments of India and Kerala are jointly contributing to this venture, which will have an investment of Rs.150 million (US $ 3.1 million), initially. Keltron Complex, Aroor - 688534. TOURFED Profile : Tourfed is a Government owned agency to provide tourism related services like Tour, travel operations, sightseeing trips and also Tourism product promotions, destinations marketing, marketing for tourism investments and ventures. It is a federation of Co-operative societies in Tourism under Government of Kerala, Department of Co-operation to plan, manage and facilitate the cooperative tourism societies in the state of Kerala affiliated or owned by the Federation. Tourfed will also assist in promotion/organising of new tourism societies/ventures either of its own or at the instance of its affiliated societies/ventures, will also engage in tourism projects developments. Priyadarsini Co-operative Spinning Mills Ltd.
Mannam Sugar Mills Co-operative Ltd. Profile : The Malappuram Co operative Spinning Mill was established in the year 1979 and started the commercial production on 1980. Though the mill was started under the co operative act the mill is now managed by Government of Kerala, Industries Department and it comes under the umbrella of Texfed, where all the co operative spinning mills are functioning.The units of Texfed and KSTC are coming under the Textile sector of Goverment of Kerala, Industries department. About MALCOTEX : The Malabar Co- operative Textiles Limited (Malcotex) is a mill specialised in Spinning Cotton Yarn we are market leader for the last 15 years in Cotton Yarn. The product of the mills is well accepted in the market and we have got a lot of satisfied customers. The mill currently producing high quality cotton yarn: 60s Carded, 60s Carded Deluxe & 60s Combed. The mill is producing the above counts in single yarn for weaving applications. About Rutronix : Kerala State RUTRONIX was set up by the Government of Kerala as an apex federation of 18 Rural Women’s Electronics Societies in the State. We manufactured and supplied various electronic equipments. We are the leading Software, Computer and Computer Training organization having our presence in all the districts of Kerala, through our Societies and Authorized Training Centers. Kerala State Rutronix was a joint venture of the Dept. of IT (Govt. of India), Khadi and Village Industries Commission (Govt. of India), Kerala Khadi and Village Industries Board (Govt. of Kerala), and Keltron. At present there are 18 Rural Women’s Electronics Industrial Co-operative Societies under its umbrella and around 500 technicians work in these societies. About HOMCO : The Kerala State Homoeopathic Co Operative Pharmacy(HOMCO) functions under the administrative control of Ministry of Health and Family Welfare-Govt. of Kerala. It is registered under co operative societies Act1 1969. The major shareholder of the pharmacy is Govt.of Kerala and other shareholders are eminent Homoeopaths of Kerala. Our objective is to manufacture and sale quality Homoeopathic medicines and there by contribute to the growth of Homoeopathy. About HANTEX : Hantex the only Apex Co-operative Society of Handloom weavers’ in Kerala having over 440 production centres and 150 sales outlets with most modern infrastructure to produce hand crafted fabrics, garments, furnishings, made-ups, sarees, traditional wears etc. strictly in tune and harmony with eco friendly norms for internal and export market. About TEXFED : Kerala State Co-operative Textile Federation Limited (TEXFED), is the apex body of Co-operative Spinning Mills and Integrated Powerloom Co-operative Societies in the State. TEXFED integrates all the segments of the textile industry in its fold i.e., from spinning to weaving, processing and garmenting. There are 7 Spinning mills with 145300 lakhs spindles producing. Cone & Hank yarn of both cotton, hosiery and polister blended yarn of high quality through latest generation of most advanced spinning machinery. About RUBBERMARK : The Kerala State Cooperative Rubber Marketing Federation Ltd., popularly known as RubberMark was incorporated in 1971, as an apex institution of the primary Rubber Marketing Cooperatives in Kerala , INDIA . It is a professionally managed organization with 38 member societies spread throughout the State of Kerala with active participation of the Rubber Board and the Government of Kerala. Address : The Kerala State Cooperative Rubber Marketing Federation Ltd.
About MARKETFED : The Kerala State marketing Federation Ltd. known as Market Fed was originated in the year 1942 as wholesale district co-operative store and converted into an apex body in the year 1960 with the entire state as an area of operation. As in the case of whole democratic set up the general body is the ultimate authority of Market Fed. The general administration is vested with the board of directors consisting of 22 members including elected members from delegated of member societies from 14 districts and the managing director. About HOUSEFED : “The Kerala State Co-operative Housing Federation Ltd.No.4330”is the State level apex Institution of housing Societies, It was registered on 23.09.1970, under the Kerala Co-operative societies Act,1969, It is also known as”HOUSEFED”. About MATSYAFED : The Kerala State Co-operative Federation for FisheriesDevelopment Ltd.(Matsyafed), was established on the 19th of March 1984. Registered as a Co-operative Apex Federation of primary level cooperative societies, this organization has never looked back and is still growing incessantly. The activities of Matsyafed include developmental programmes aimed at enhancing production, self-employment programmes, commercial activities for forward and backward integration, aquaculture programmes, extension and mass & communication activities, welfare activities, engineering works and motivational activities. About CONSUMERFED : The Kerala State Co-operatives Consumers’ Federation Ltd is the apex body of the consumer Co-operatives in the state of Kerala. This Apex body was registered on 04/09/1965 and started functioning on 07/10/1965. Address : Kerala State Co-operative Consumers Federation Ltd.
About COIRFED : Coirfed is a Co-operative apex federation with 23 member Director Board having President and Managing Director at helm of administration. The Federation has two major divisions, namely Product Division and Yarn Division. Product Division deals with the procurement and marketing of coir products produced by the manufacturing societies. It takes care of the factories producing value added, coir products. A separate product marketing wing also has been setup to enable the marketing of coir products. There is one Central Store, 8 Factories and 37 Showrooms under it. Kerala State Co-operative Agriculture and Rural Development Bank Ltd.
About KSCARDB : Kerala State Co-operative Agricultural and Rural Development Bank has always been in the forefront of committed activities aimed at bettering the Social scenario of the village community. As the Apex body of the Primary Co-operative Agricultural and Rural Development Banks in the State, it has spear headed such programmes and streamlined them, right from its inception. The KSCARD Bank has, in fact, come a long way since the formative years when it focused primarily on the redemption of prior debts of rural farmer. The accent has switched over to the production oriented financing policy, which involves long term loans for development needs. The Bank has also diversified its activities and formulated various innovative loan schemes so as to achieve the prime objective of rural development. About KSCB : The beginning of the Kerala State Cooperative Bank Ltd (KSCB) dates back to early 20th century. In 1914, the then Maharaja of Travancore, his highness The Moolam Thirunal Ramavarma, by his proclamation introduced the “Travancore Cooperative Societies Regulation Act”. As per the Act, the first cooperative society - The Trivandrum Central Cooperative Bank - was registered in the year 1915. The bank started functioning on 18th January 1916 with a share capital of Rs.1.00 Lakh consisting of 1000 shares of Rs.100 each. About CAPEX : CAPEX - Kerala State Cashew Workers Apex Industrial Co-operative Society Ltd., No.IND (ST) 12, Quilon was registered in the year 1984 with an objective to work as an Apex Society to take care of the operations of the 10 primary co-operative societies under Government of Kerala. 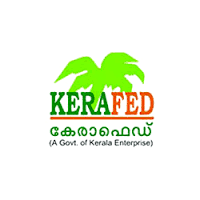 About KERAFED : KERAFED is the Apex Co-operative Federation of coconut farmers in Kerala and is the largest producer of coconut oil in India. KERAFED has two expeller oil extraction factories one at Karunagappally, Kollam and the other at Naduvannur, Kozhikode. KERAFED's coconut oil complex at Karunagapally in Kollam district is one of the biggest such units in India, with a capacity of 250 Tons per day. About KELTEX : The Kerala Hi-Tech Weaving and Garments Co-operative Mills Limited, (KELTEX), (Post) Athavanad, (Dist) Malappuram, Kerala, is a hi-tech weaving and garments project implemented by the Government of Kerala. The unit is ideally situated and can be easily approached by road and rail. Calicut Airport is just 50 KM away from the unit and the nearest Railway station 9 KM away. The Project when fully commissioned will have 24 Numbers of imported shuttle less looms and other pre-loom and post loom Machineries. The garment segment will have a core unit and switching unit. 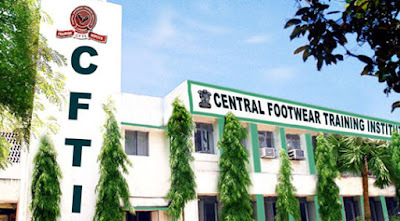 Institute Profile : The Central Footwear Training Institute (formerly CFTC), Chennai the premierInstitute of its kind in the country, came into being in July, 1957, with the assistance of Ford Foundation. The erstwhile CFTC was conducting 18 months "Advanced Footwear Technology Course" and Practical oriented need based short - term courses. The CFTC has trained about 6000 candidates, which includes 154 foreign nationals from countries like Nigeria, Mauritius, Philippines, Figi, Tibet, Guyana. Uganda, Zambia Hungary, Srilanka etc. Pokémon Go (stylized as Pokémon GO) is a free-to-play, GPS based augmented reality mobile game developed by Niantic for iOSand Android devices. It was initially released in July 2016. The game allows players to capture, battle, and train virtual Pokémon who appear throughout the real world. Although the game is free-to-play, it supports in-app purchases. An optional companion Bluetoothwearable device, the Pokémon Go Plus, is planned for future release and will alert users when a Pokémon is nearby. About Milma : Now well-known by the popular sobriquet ‘MILMA’, Kerala Co-operative Milk Marketing Federation (KCMMF) was formed in 1980 as a state adjunct of the National Dairy Programme ‘Operation Flood’. It is a three-tiered organization. At the grassroots level MILMA has 3206 Anand model primary milk co-operative societies as on 31.03.2015 with 9.24 lakh local milk producing farmers as members. These primary societies are grouped under three Regional Co-operative Milk Producers’ Unions viz TRCMPU for Thiruvananthapuram region, ERCMPU for Ernakulam region and MRCMPU for Malabar region. At the apex level KCMMF functions from the headquarters at Thiruvananthapuram. From the different units managed directly by KCMMF and the various units under regional unions MILMA produces and distributes pasteurized Vitamin – A enriched milk and various milk-based products as well as mango drink throughout the state. MILMA has been instrumental in achieving the national goal of self-sufficiency in milk production in the state. Still the goal is receding as Kerala enjoys one of the highest ranges of per capita milk consumption. KCMMF is totally content in the realization of this vision which was set before it. KCMMF has achieved the distinction in its performance by close association and bond with National Dairy Development Board, Animal Husbandry Department and Dairy Development Department of the State and Kerala Livestock Development Board. Kerala Police Housing and Construction Corporation Ltd.
About KPHCC : The Kerala Police Housing and Construction Corporation Ltd was established in 1990 with the objective of taking up the construction of Buildings and Quarters to the end-users in the 17 Police Districts of Kerala State. The Corporation is proud to carry out various construction activities for the various Government Departments like the State Police, the Vigilance and Anti-Corruption Bureau, the Prisons and the Fire and Rescue Services. Recently, the Corporation has begun expanding horizon by undertaking the works of other Department/Organisation entrusted to the Corporation by the State Government. KPHCC Ltd’s main focus of activity is towards the construction of Residential Buildings and Quarters for the Police Department under various State / Central Government schemes. The main sources of funds to this corporation are through the declared Central Government schemes like Modernization of Police Forces and Finance Commission Awards. Certain major projects undertaken by the Corporation are also funded by the State Government. The KPHCC raised loans from various institutions like the HUDCO and the LIC Housing Finance Corporation for selected projects approved by the State Government. Such loans were raised with the prior approval of the Government and upon Government guarantee. Institute : Kerala State Welfare Corporation for Forward Communities Ltd.
About Institute : Kerala State Welfare Corporation for Forward Communities Limited is a Government of Kerala undertaking, incorporated under the Companies Act, 1956 on 8th November, 2012, as a Private Limited Company, with an objective to promote the comprehensive development and welfare of the economically backward sections among the forward communities of Kerala. Address : Kerala State Welfare Corporation for Forward Communities Ltd.
About Authority : Hill Area Development Agency (HADA) has been registered under the Travancore Cochin Literary, Scientific and Charitable Registration Act 1955 on 28/5/2012. The Agency is under Planning and Economic Affairs Department. The Grama Panchayats and Municipalities having hill area at least 25% above 600 m contour are included under the jurisdiction of HADA. 561 Grama Panchayats come under Hill Area Development Agency. About Authority : Goshree Islands Development Authority (GIDA) is one of the two government agencies for the development of Kochi City Region, Kerala along with GCDA which serves entire Cochin Corporation and surrounding municipalities around the region. GIDA's main purpose, as the name suggests to develop the infrastructure facilities of scattered islands in and around the Kochi city. Its area consists of entire Vypin Island, Vallarpadam, Bolgatty-Mulavukad Island, Thanthonnithuruthu, Kadamakkudy and a group of small islands in Vembanad Lake covering an area of 100 km2. with a population of 3.5 Lakhs. About Authority : The Greater Cochin Development Authority has come into existence on 24-01-1976 under the Madras Town Planning Act of 1920 and Travancore Town Planning Act IV of 1108 readwith G.O. (MS) No.19176/LA & SWD dated 23-01-1976. As a first step towards the formalised development planning of the Cochin region, an advisory committee was set up in 1965. In the same year itself a Joint Town Planning Committee was constituted for the Greater Cochin region and this committee has been elevated in to a trust viz. Cochin Town Planning Trust under the Chairmanship of the District Collector. In the course of time the authorities wereconvinced of the fact that a larger set up is required to control the growth of the Cochin City and its environs in a planned manner which resulted in the formation of GCDAas noted as first. About Authority : Thiruvananthapuram, the capital city of Kerala, is a city built on a series of seven hills that gradually descend to the sea. Formerly the seat of the Kings and Princes of Travancore, Thiruvananthapuram is rich in its culture and heritage. Even today this fast growing city reflects its royal past through its spectacular architecture and the proud bearing of its inhabitants.A blend of the old ways and new, Thiruvananthapuram is a city that, while retaining its tradition, has embraced modernity with open arms. Institute Profile : Mirox Cyber Security & Technology Pvt Ltd is an IT Security and Networking Solution Based Company providing Training, Development and Solutions in Security related area, to verticals like Banking, Insurance, Healthcare, Research centers, Pharmaceutical, Retail marketing, IT companies, Education centers & Universities, Telecommunications, Manufacturing Industries and various Government organizations etc in security related area. Company is Business partner and Distributor of High end security and networking products of leading and well known brands. Only 3 centres across India.